Witnesses are being sought after two East Sussex robberies on the same night, which left one man in hospital with serious head injuries. 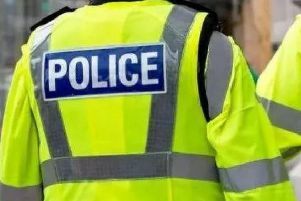 Sussex Police said the first of the robberies occurred at the bottom of St James's Street in Brighton at around 1am on Sunday (April 7), before a similar incident happened nearby in Stein Street around 3.30am on the same date. A police spokesman said: "The [first] victim, a man in his 30s, was walking home when he was assault, believed to have been knocked unconscious and had his phone stolen. "[In the second robbery], two men, one in his 30s and the other in his 40s, were assaulted and their phones were also stolen. One of the victims suffered serious head injuries and was taken to the Royal Sussex County Hospital." Investigating officer, detective constable Paul Heal said: “These were serious unprovoked attacks on members of the public who had been enjoying a night out. “We believe the two robberies are linked and are appealing to any member of the public with information to get in contact with us without delay. Did you witnesses either of the assaults? Please report information either online or by calling 101 quoting Operation Lacoste.